Lindiwe Dovey is a scholar, teacher, film festival founder/director, curator and filmmaker, whose South African identity has been a major source of inspiration in her work.She is currently Reader (Associate Professor) in Screen Arts and Industries at SOAS, University of London. She co-founded the Cambridge African Film Festival, the UK’s oldest annual African film festival, which she directed and curated for many years, and she also co-founded Film Africa, London’s African film festival, for which she was the Co-Director and the Film Programme Director in 2011 and 2012. Lindiwe Dovey received her BA Honors from Harvard University and her PhD from the University of Cambridge, and has published widely on African film, and film and cultural studies more broadly. Her first book African film and literature: adapting violence to the screen (Columbia University Press, 2009) won a Choice Outstanding Award, and her new book Curating Africa in the Age of Film Festivals (Palgrave Macmillan, 2015) has been called “an essential read” by Cameron Bailey, Artistic Director of the Toronto International Film Festival. She is a Philip Leverhulme Prize recipient, awarded to the most promising young scholars in the UK, and she won the SOAS Director's Teaching Prize in 2011 for inspirational and dedicated teaching. 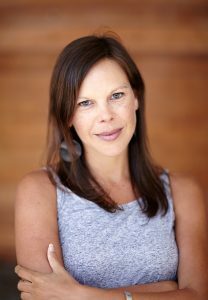 She has made a number of short fiction films, such as Nina (2000) and Perfect Darkness (2001), and worked at the film production companies Fine Line Features and Section 8 in Hollywood, Los Angeles.